Dr. Abrams graduated from Ross University School of Veterinary Medicine in 2014. She then completed an internship at Tufts VETS followed by a residency in Dermatology at the Ohio State University School of Veterinary Medicine. 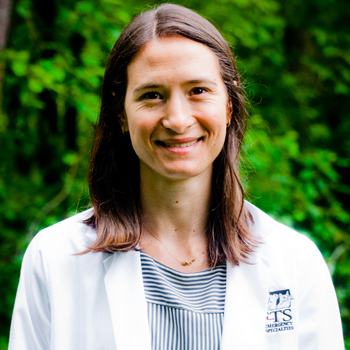 Dr. Abrams completed her residency and achieved board certification in 2018. Her research has been published in the journal Veterinary Dermatology. Her professional interests include atopic dermatitis and immune-mediated diseases. In her free time, she enjoys skiing, spinning, yoga, travelling and spending time with her husband and two cats Wiley and Taz.